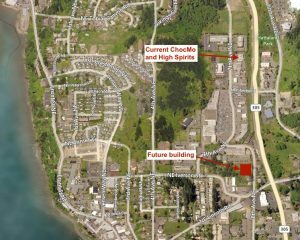 Poulsbo’s ChocMo restaurant and High Spirits liquor store plan to move to a new building and expand next year. 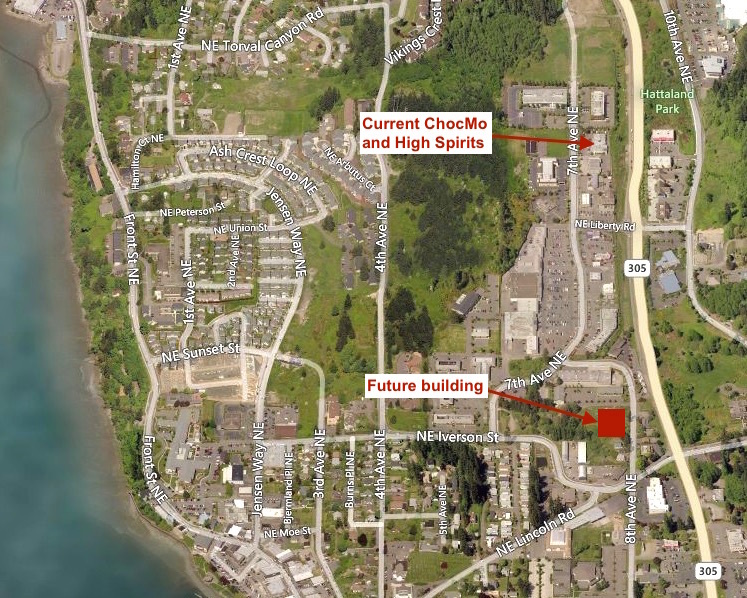 The businesses will set up shop in a 28,000-square-foot commercial facility planned by the Crabtree and Ryan families on Eighth Avenue. The building is expected to open in the fall of 2017, according to a news release. ChocMo and High Spirits will be joined in the facility by a 180-seat restaurant called Crabtree kitchen + bar and a shared workspace center called Vibe Coworks. The move will allow High Spirits to grow from 4,000 to 10,000 square feet.The store will add a growler-filling station, “beer cave,” and wine cellar, and plans to host classes and tastings. A delivery service is being considered, according to the release. ChocMo, which began as a chocolate shop in 2005, will offer breakfast, lunch, espresso and chocolate drinks. With added space to work in, ChocMo staff will start making chocolate from raw cocao beans. Upstairs, Crabtree kitchen + bar will focus on connecting diners with locally-grown food, including fruits and vegetables cultivated onsite. Beef for the restaurant will be raised at the family’s Silver Creek Angus farm in Kingston, which currently supplies ChocMo.